Our specialist Ski Technique Turnaround course is ideal for anyone wanting to improve their technical ability and understanding of skiing and progress to the next level. Many skiers reach a point where they feel their ability has plateaued and struggle to improve, so this course is ideal for anyone wanting to fine tune the more technical aspects of their skiing and improve their overall skills. The course is delivered with a relaxed approach, allowing you to focus on improving your technical skiing whilst also enjoying your time in the alps. Tuition is provided on Monday, Wednesday and Friday. Whilst Tuesday, Thursday and Saturday allow you the time to practise your newly learned techniques. 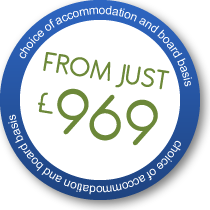 Hotel TurinBed and breakfast basis, only £969. Hotel HB AostaAll meals included, only £1,199. What Skill Level Is Required?The course is ideal for anyone who is competent on a red-run. When Is The Course Held?The course will be held on 14th January & 4th March 2018.
Who is the Instructor?The training will be lead by an alpine BASI Level 3 ISIA qualified instructor. Our aim has been to make the price of this course as inclusive as possible. Give our friendly sales team a call on 01623 456333 and we'd be happy to get you booked on to the course. 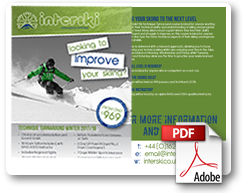 If you're concerned whether your skiing level is at the right standard, or simply want to know more about the course, you can also call Andy McIntosh, the course instructor, on +39 (0)165 304711 or via email to andy@interski.co.uk. Space on this course is limited, so if you're interested, we recommend you don't delay in booking to ensure your place. Unfortunately, online booking is not currently available for the Ski Technique Turnaround course.